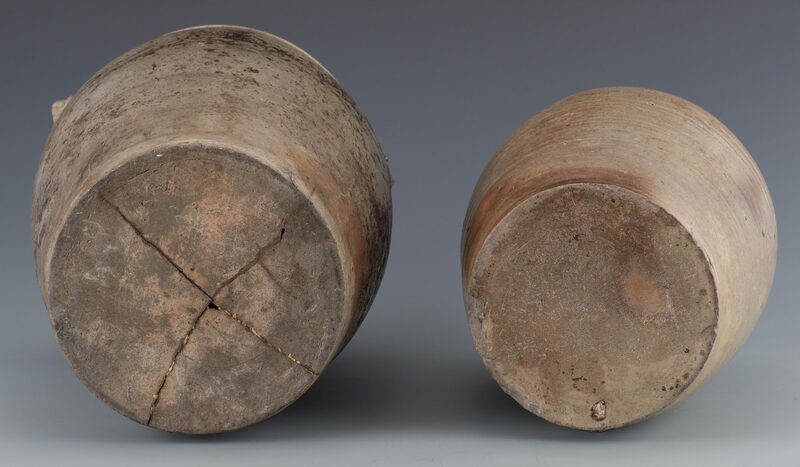 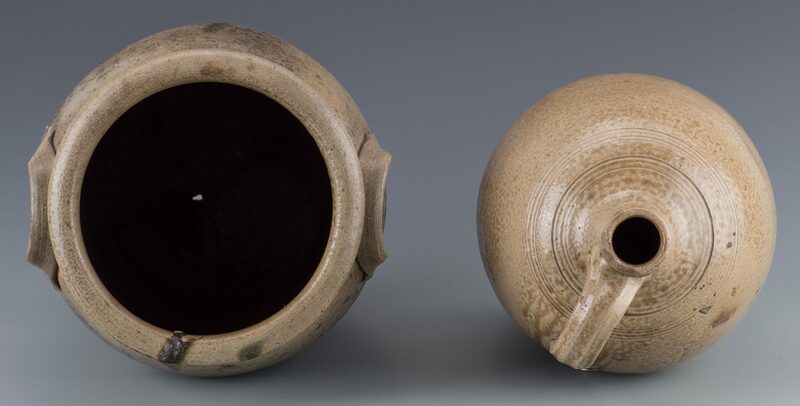 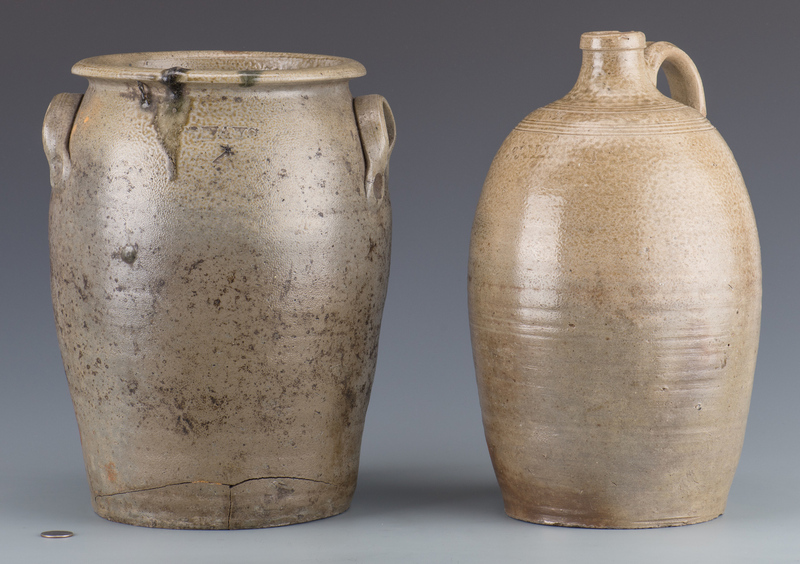 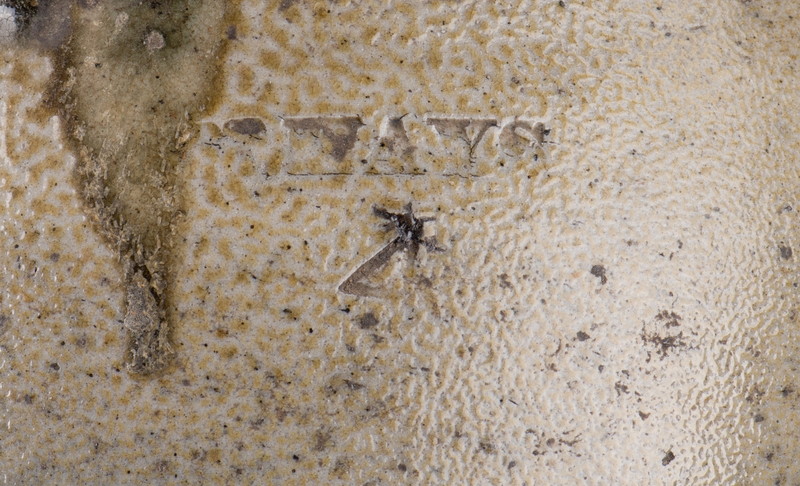 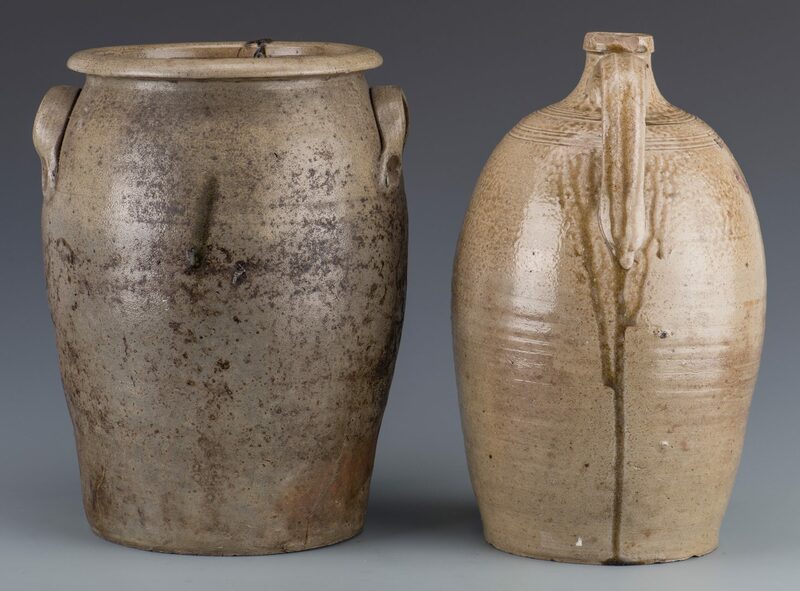 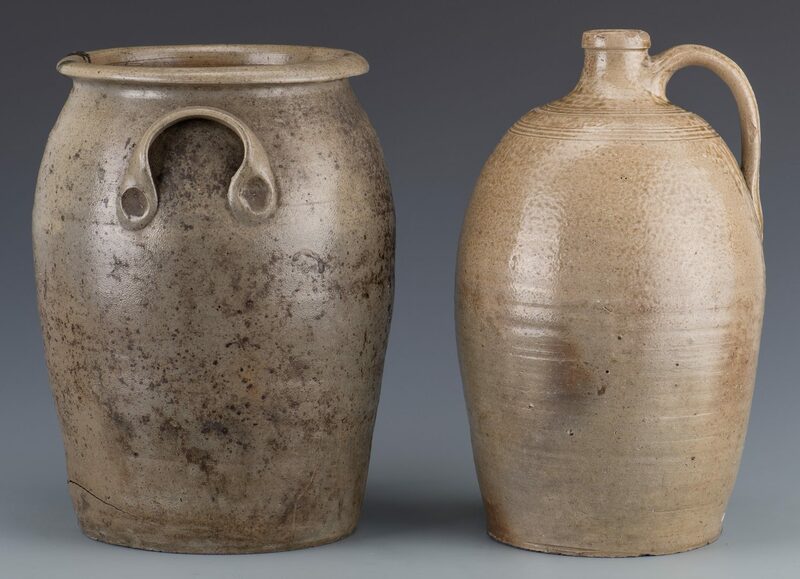 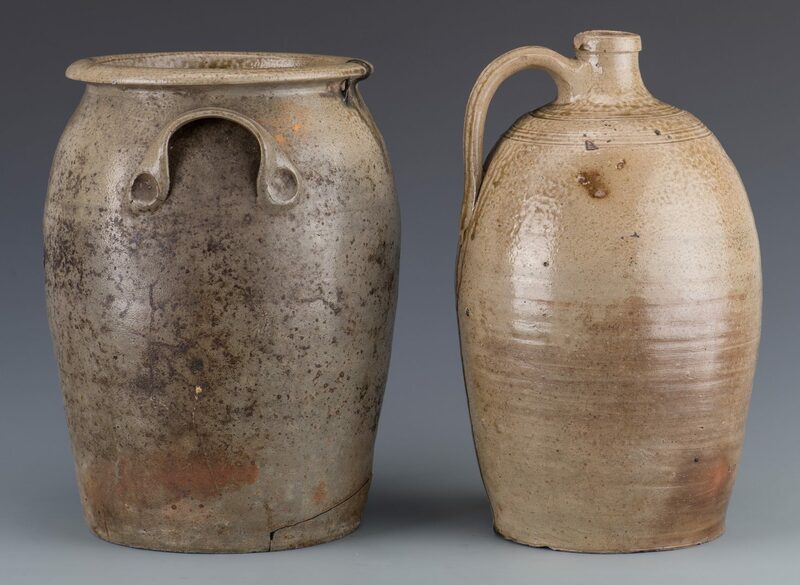 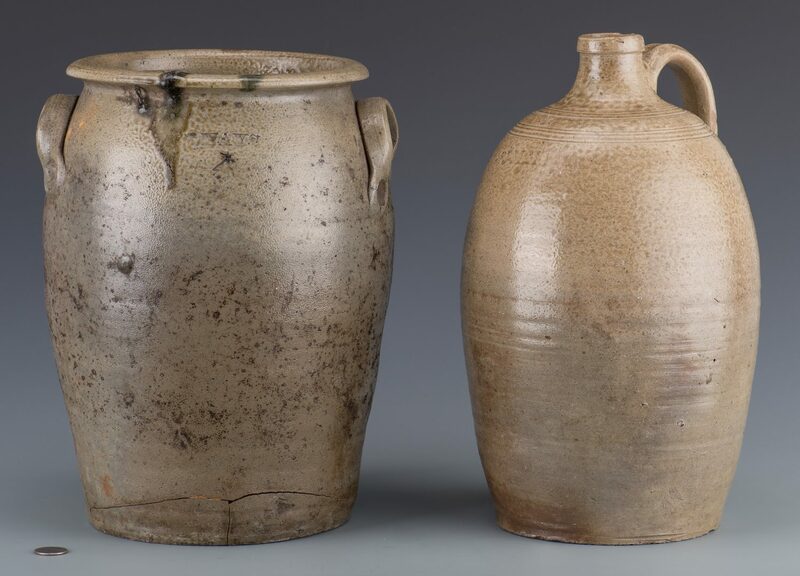 2 James M. Hays (North Carolina/Randolf County, 1832-1922) stoneware pottery items including a salt-glaze jar with pulled handles and stamped "JMHAYS" and a salt-glaze jug with two incised bands arourd the upper shoulder and stamped "JMHAYS" and "2" denoting capacity. 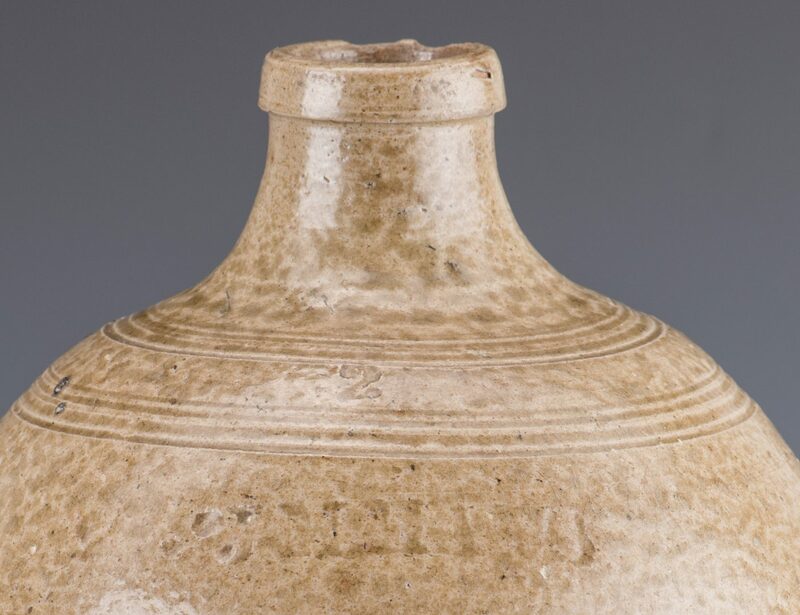 Jar measures 13 1/2" H. Jug measures 14" H. CONDITION: Cracks to side base of jar. 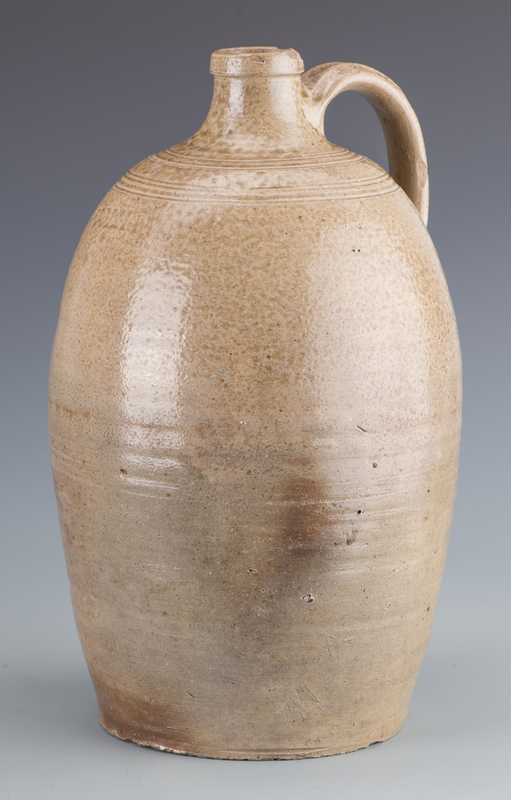 Chips to rim of jug.